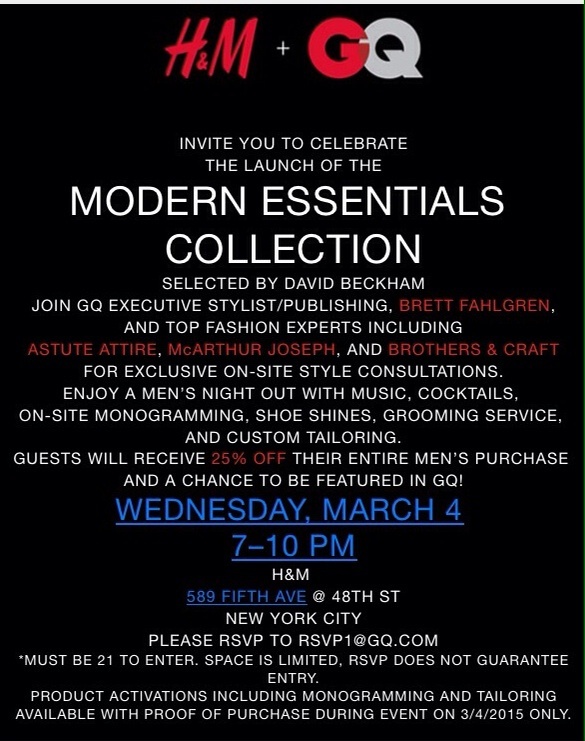 On March 4th from 7 – 10p join H & M and GQ for their launch Modern Selections, selected by David Beckham. It will be a men’s night out with styling, monogramming, cocktails, music, shoe shines, grooming services and more. It’s all complimentary but make sure to rsvp. Tags: GQ, H & M, Mens Fashion. Bookmark the permalink.